This trio play classical, folk, traditional & modern music and can cover many different aspects of your day: church music, wedding reception or during the meal. Looking for music for a wedding in Tipperary or anywhere else in Ireland? 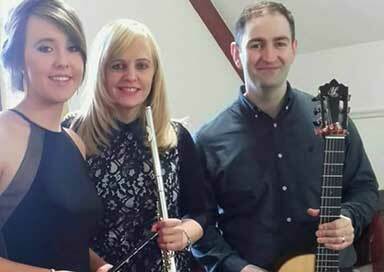 With a blend of piano, violin and flute/whistles, this Irish music trio played at Shane Lynch`s wedding and at Sile Seoiges wedding in Kinnitty Castle Co. Offaly and will "give a little sunshine" to any occassion. They have raised 28,350 Euros for organisations and charity events in Tipperary such as Nenagh hospital, St. Annes, St. Vincent de Paul, Dean Maxwell hospice Roscrea, and friends of children of Chernobyl nenagh. One recent event raised 4000 Euros for Bru Colmbanus University Hospital in Cork. They also have a fourth member if required to form a quartet and can also include a male vocalist in the trio. They invite you to choose your favourite song/piece for your special day. 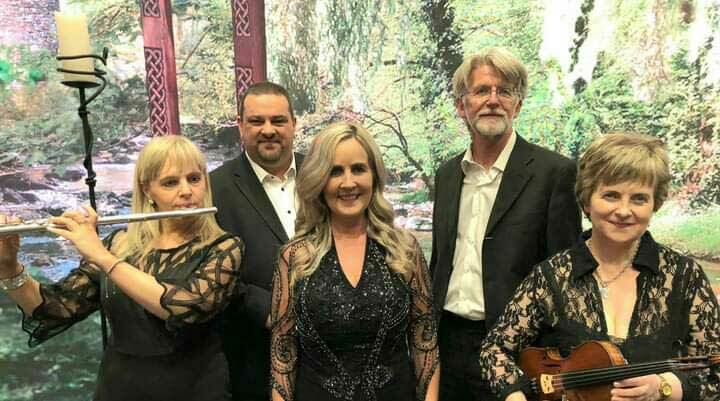 They have been playing together as a group since 1999, and play classical, folk, traditional and modern styles and can cover many different aspects of your day, whether it be church music, pre- wedding reception or music during your meal. The trio can provide the music for your wedding ceremony anywhere in Ireland - at the church they will entertain your guests from their vast Repertoire of songs and music up to half and hour before the Bride arrives.